Имате въпрос към Nam Long Plus Hotel? При посещение в Донг Хой (Куанг Бин), в Nam Long Plus Hotel ще се почувствате като у дома си, защото предлага квалитетно настаняване и отлично обслужване. Хотелът се намира на 0.5 km от центъра на града и осигурява достъп до важните места на града. С удобното си местоположение хотелът предлага лесен достъп до всички градски забележителности, които задължително трябва да се видят. Съоръженията и услугите предлагани в Nam Long Plus Hotel гарантират Вашия приятен престой. Подбор на съоръжения от най-висока класа като 24-часов рум-сервиз, Wi-Fi връзка в общите части, паркиране на автомобили, паркинг, рум-сървиз, са на разположение за Вас в хотела. Гостите на хотела могат да изберат една от 19 стаи, в които се усеща атмосферата на спокойствие и хармония. През деня можете да се насладите на отпускащата атмосфера благодарение на градина. Nam Long Plus Hotel е добър избор за всички посетители на Донг Хой (Куанг Бин), защото предлага спокойствие и безпроблемен престой. I would stay again. Hotel is in a nice area near to the beach. The rooms are clean and the staff are really friendly. Only downside is they offer overpriced trips to the caves and national park... the trips are good but if you have time or your own transportation make your way there for a fraction of the price. I just had one night's stop over on the way to the caves but it was a great spacious place to rest. Staff were so good I booked it again for the return trip. The town is very quiet with massive beach and river frontage. You probably want to rent a motorbike if you want to explore. The staff here was super friendly and helped us in finding everything from the market to bus stops, and even helped us in buying tickets for the bus leaving the city. The room was also very spacious with great view of the city and the sea. Nam Long/Nam Long Plus also provides an excellent tour to see Phong Nha national park, Paradise cave, Dark cave, etc. which was cheaper than the tours I saw posted elsewhere. We’re pretty amazing! Breakfast is ok, but coffee was really bad so we ended up getting our morning fix elsewhere. The rooms are not soundproof at all, you can’t sleep in if you like. You can hear everything that happens outside like t in your room, and on top of that housekeeping is done as early as 7am. We had a lady knock on our door at 8am one day to tell us she wants to clean the room. Reception is very helpful and will answer all your questions. Some great restaurants around, it’s a loner walk to the beach unless your get a motorbike it’s only 5 mins away. Riverfront is really nice in the evenings. Отседнахме 5 вечер/и в декември 2018 г. Everything was perfect, an oasis of peace, I would book it again immediately. Very good hotel for the price. Room had a nice view in multiple directions. The owner was very friendly and helpful and even came out to the taxi when I arrived to ensure I wasn't getting ripped off. Wish I had spent more time there! I wanted to stay longer but they were full. Stayed 3 nights. Room was fantastic and large. Great hot water and pressure. A lot of little features that a traveler would appreciate. Booked paradise cave and dark cave tour through them and was great. Very small group (only 3 of us for dark cave) it was really personal. There are heaps of restaurants and scenes close by. I can’t fault it. I will definitely coming back again but will book in advance. Such a wonderful and charming homestay! The gardens are filled with fruit trees, we even got to eat some pomelo. The staff are so friendly and helpful. They fed us delicious food immediately when we arrived! The homestay is a short 2-3 minute walk from where the bus drops you off in Tam Coc. The rooms are in little bungalow and they’re super clean. Strong WiFi, even for sitting outside. They have bikes and motorbikes for rent and provide a map to show you how to get around. Would highly recommend!! very helpfull staff. arranged motorcycles for us to rent to do our own trip to the caves. new hotel. big rooms. tall ceilings. many sockets for charging. 30 mbs internet speed. good a la carte breakfast. choice of 10 different sets. big bathrooms. nice view from the rooms. 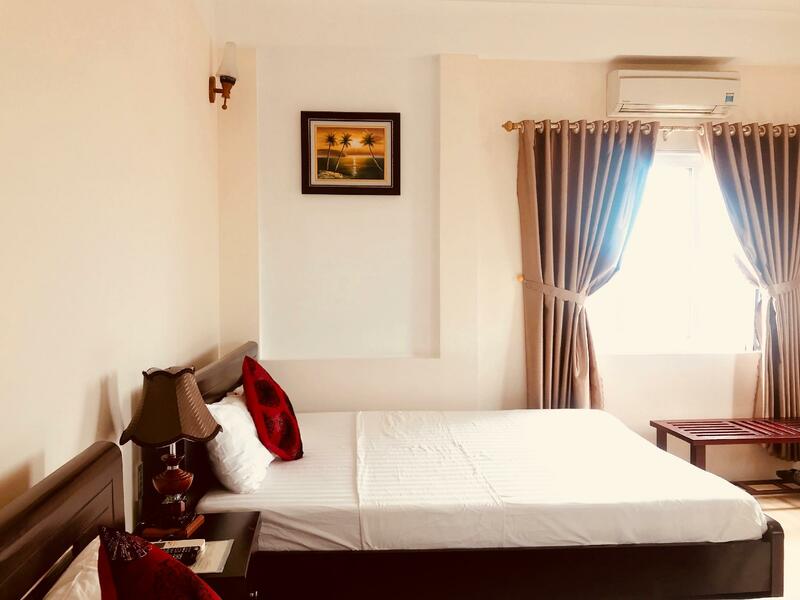 This was the biggest, cleanest with the best location and amenities for the price that I have stayed at to date in Vietnam! Albeit it was the off season and the weather was rainy and cold the service I received from the staff at the Nam Long Plus was exceptional. Big king sized bed, super clean, quite and priced perfectly for the budget traveller or mature backpacker! They offer an amazing breakfast, provide a list of local restaurants and sights to see in this very pretty city by the river and ocean. The only negative that I will have to say about this gem is that they do have a couple of rooms that allow their guests to smoke in, there was a slight cigarette odour the first night but it was not an issue the second night of my stay. If you are ever in Dong Hoi is recommend you enjoy the hospitality of this family run hotel! Отседнахме 4 вечер/и в август 2017 г. This is my 4th stay at this hotel. I have had consistently good accommodations and terrific friendly service. The hotel isn't located on the beach, but it is located close enough for easy access and there are many good restaurants or street food places in the neighborhood. The rooms are huge, clean and have everything you need for an overnight or longer. The staff feel like family after a couple of days and make each stay wonderful. We stayed here one night on our way to Phnong Na. We couldn't have asked for anything better. We were greeted by friendly staff and shown to our beautiful room on the sixth floor. The hotel is relatively new so the rooms are up to date, clean and spacious. The bathroom is spotless and the shower is large with a nice shower head. Overall we give the Nam Long Plus high marks and would definitely recommend. 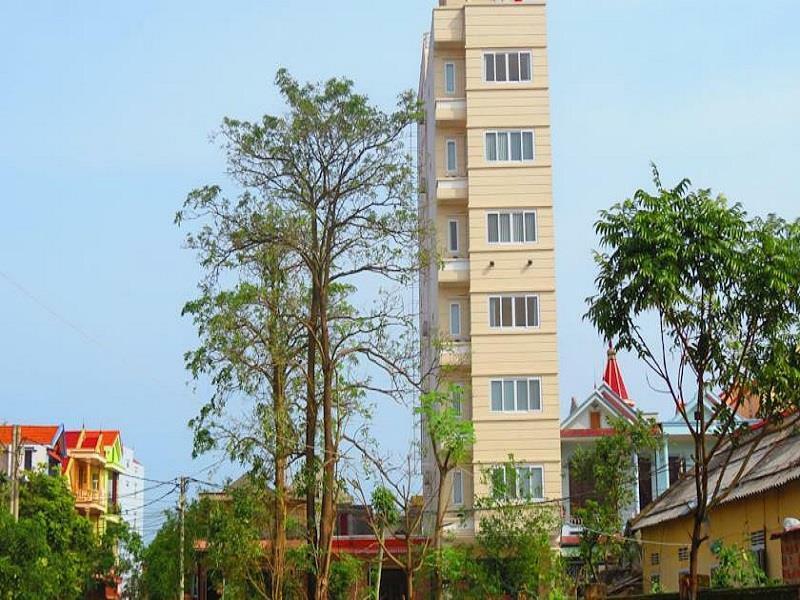 This hotel is a great option for a stay in Dong Hoi. The price is good, the rooms are spacious, clean, and have sufficient amenities. The location, 1 block from the river and not far from the beaches, is excellent. Its only 200 meters to the Phong Nha bus stop as well. The staff and owners are friendly and helpful with great English skills. Good location to explore the region. Tip: rent a motorbike to visit the caves instead of doing a tourist-tour. The scenery is beautiful and with a motorbike you can take as much time as you want to enjoy it. We stayed 2 nights at the hotel to visit Phong Nha Khe Bang and spend some time at the beach. The hotel was very well kept, with spacious, clean rooms and excellent customer service. I believe this is the second Nam Long hotel, and judging by appearances they seem to be earning a deserved reputation as the best choice in Dong Hoi. There are some excellent beaches nearby which are worth visiting once you've had your fill of the caves!